Mints, now there's a fresh idea. At The Advertising Gift Works we know that mints and the huge variety of container shapes, sizes, materials and branding options available to them make for a fantastic, low cost and highly effect way to promote your business campaign and give great brand exposure. With a huge range of branding options available from single colour to stunning full colour print, this versatile products it sure to freshen up and event, conference or exhibition stand no matter what your industry or budget. 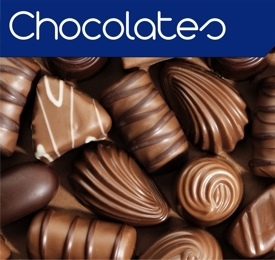 At The Advertising Gift Works we know that everyone likes chocolate and with the huge variety of flavors, shapes, sizes and branding options available we are sure to have something for everyone making this a fantastic, low cost and highly effect products to promote your next business campaign, giving great brand exposure that your customers will remember. With a huge range of branding options available from single colour to stunning full colour print, bespoke molding and packaging this versatile products it sure to make an impact at any event, trade show or exhibition stand no matter what your industry or budget. At The Advertising Gift Works we know what makes a sweet deal and with the huge variety of flavors, textures, sizes and branding options available we are sure you'll have your pick of the mix in finding the right product. 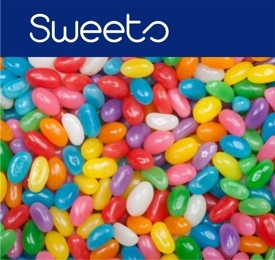 A fantastic, low cost and highly effect products to promote your next business campaign, sweets give great brand exposure that your customers will remember. With a huge range of branding options available from single colour to stunning full colour print and bespoke packaging options mean this versatile product is sure to make an impact at any event, trade show or exhibition stand no matter what your industry or budget. We know there is no greater an opportunity to spread your marketing message than in conjunction with an event. Keeping marketing topical gets you great exposure and improves your relevance among your audience. At The Advertising Gift Works we know there is not better way to say Merry Christmas, Happy Easter or just hello then with sweets and chocolate treats and with the huge variety of flavors, packaging styles and branding options available we are sure you'll find the very best product to share your message. As a low cost and highly effect products to promote your next business campaign, sweets and chocolates give your customers an experiences to remember. With a huge range of branding options available from single colour to stunning full colour print and bespoke packaging options, this versatile product is sure to make an impact at any event, trade show or exhibition stand no matter what your industry or budget. 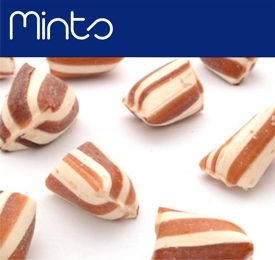 To see our full range of food, drink and confectionary item - Click here!